Is Submission to free Search Engine Submission Sites necessary? Well, there were times when it was mandatory to submit your site to search engine submission sites. Without that, it takes weeks or months to index your web page by search engines. Webmasters used to submit their website in to various free Search Engine Submission Sites. They also build backlinks from various website. if you want to create quality backlinks then have these Do Follow Social Bookmarking Sites, PDF Submission Sites List, Profile Creation Sites List and High PR Photo Sharing Sites 2019. Search Engine submission is not harmful but it is not necessary as well. You can still use these search engine sites for submission. As we know that Google is the king of search engines nowadays and will be. You can submit your website to Google in simple steps. You have to just click on the this link, login with your account, put the website in the Submit Url section and press submit button. Bing is also one of the renowned search engines and you can submit your web page into Bing as well. Bing webmasters submission is like Google submission. Yandex is very much popular search engine in Europe and Russians widely used Yandex. If you have a website that has a global content then you must submit your website to Yandex. Exactseek is an old search engine but does not have much significance these days. It is not a bad idea if you are planning to submit your site to different search engines. Entire web is a tool for search engine submission which submit your site to various others search engine submission sites for free. Entireweb has premium plans as well which automatically submit your site on different websites and directories on regular basis. Scrub the web is another search engine. As the name suggest their bots use to scrub the web and collect information. By submitting your website in the Scrub the web ensures the direct submission in this search engine. Anoox is another search engine which works major in the local search. Though these are not used much more now. It actually helps to submit your local data into its search engine to help you to be searched locally. It is a 15 years old search engine which has a very small benefit these days but still people used to submit their sites in Gigablast. Google is dominating the whole search engines thus a very little or no benefit of submitting your sites in these search engines. Viesearch still plays some role in ranking. It has free and premium plans. It also gives you quality backlink if you place your website in the right category. 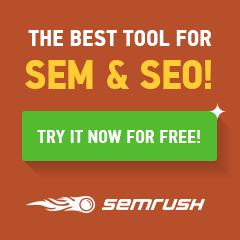 SoMuch is another search engine directory which also have free and premium plans. You can still submit your site here with no extra price. Why Search Engine Submission Sites is not necessary? But the question is Is it worthy to devote your time to submit your website to different different free search engine submission sites. I was shocked to know about the fact and so you may be that Search Engines do not generally requires dedicated search engine submission to index your newly uploaded website or webpage or blog post. Why Search Engine(Google or other) Submission is not important? The days are gone when you submit your site link separately into different search engines. Now you need not to do this kind of stuff. Though this practice is not harmful but you can sustain without this. Now search engines indexes new links from the already indexed pages. They used to index new pages by following or crawling the links from other pages. These links on other pages are known as inbound links. Suppose you have a blog and you are updating it regularly but sometimes you may have noticed that your web page is not indexed even after a week of posting it. This is because Google does not know that you have added a new page. To make search engines notice your web page, you must place the link of your newly build blog post on the posts that are already indexed. This will make your newly build web page easily indexed in search engine. Inbound links or interlinking plays a very important role in the indexing your website. It is one of the biggest SEO factor as well. Interlinking to the top pages of your website make your new web pages easily appears in search engine. If this thing is happening then your web page is going to rank fast in Search Engine Result Pages or SERPs. One of the other reason why search engine submission to various search engine submission sites is not necessary is that almost all the search engines consider the links shared in various social media platforms like linkedin, twitter, Stumble upon, Google Plus and Facebook. So whenever you post a new blog post of create a new web page you must share your web page or blog post to different social media channels to get immediate effect in indexing the links. You can also submit the links into various social bookmarking sites and high pr image sharing sites to get easy attention of search engines. I hope it is now clear to you why it is not much worthy to submit sites into free search engine submission sites. Still there is no restriction in search engine submission. You can do if you have sufficient time. Enjoy! How to Leverage Social Media Advertising for Small Businesses? How to Create a Sitemap & Submit to Google & Bing Webmasters? I didn’t know about these search engines other that Google, bing and yahoo. Well, we can’t completely deny with the usefulness of such sites. They are still benefiting to some SEos around. Well, some search engines pick the websites automatically wihtout having submitted in them.. Yes i agree with your points. i never submitted my site in Bing but still it’s crawling. Coz i have done all the onpage and offpage activity 🙂 and some of search engine are useless according to me. one day i received a message from my hosting company, that your site limitation resources is exceed, at that time my traffic was approx 1K to 3K/ Monthly. hosting representative suggested me to block some useless search engine to avoid auto fake traffic. You are right! Google submission is enough, don’t need to submit site in other search engines. Thank you for informative blog. I don’t know about these engines. It is really helpful to me to indexing my links. Can you suggest me other method like this engines?